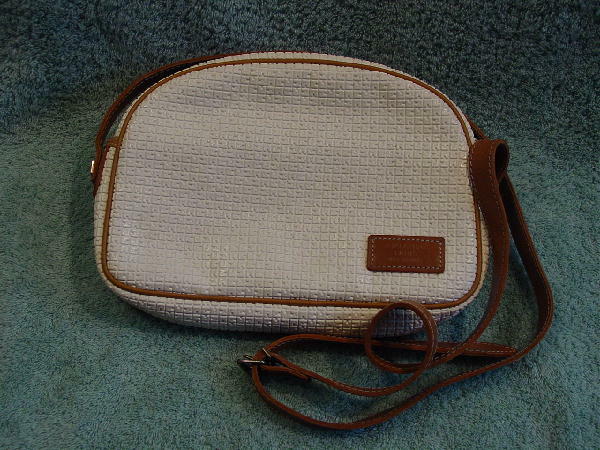 This antique white Ted Lapidus purse was made in France. It's made of manmade materials (probably plastic). 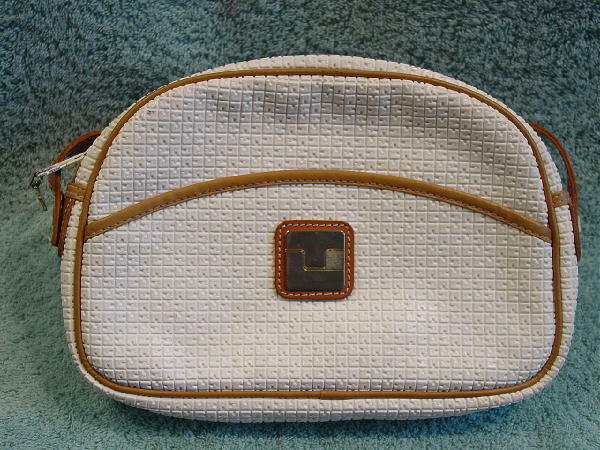 The purse has a textured surface with mini squares each containing a TL. There is a dark tan patch on the lower right side with Ted Lapidus Paris made in France printed on it. The other side has an outer side to side open pocket with a leather patch and a gold-tone TL on it. 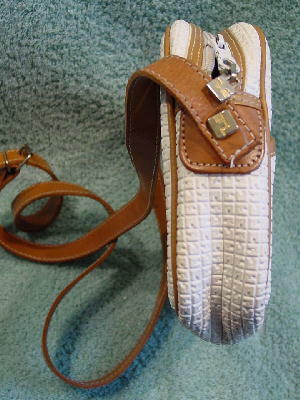 The interior has a tan lining and a large zipper compartment. It has a camel color edge and accent trim, and a top side to side zipper. It has a 53" long caramel color leather shoulder strap. There are 2 gold-tone logo ornaments, one on each side, holding the strap in place, and a logo pull on the zipper. There are some ink marks above the interior pocket zipper. It belonged to a German model.